Completed in 1929 by Holabird and Root, the Palmolive Building was the original home of the Colgate-Palmolive-Peet Corporation. Originally built as office space, the historic art-deco building was converted to modern condominiums with office and retail spaces on floors one through four in 2008. The building, located on the north end of Magnificent Mile, is a Chicago Landmark and is on the National Register of Historic Places. The retail base on the first and second floors was first renovated in the 1980s. In early 2015 the base window bays required another upgrade to address visible material erosion and water infiltration. The design brings together the form and detail of the original Holabird & Root façade while modernizing the curtain wall bays to fulfill retailer needs for today. 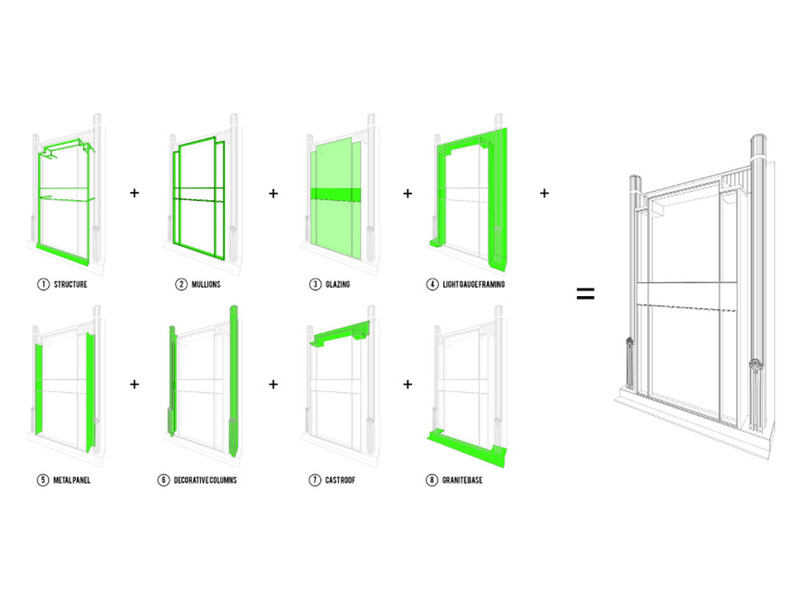 In plan, the window bays return to their historic square-corner configuration. New curtain walls feature custom fin-profile aluminum mullions with large glass expanses to maximize the exposure of displays inside. The glass is split both horizontally and vertically according to the original elevations. The glazing itself is low-iron laminate glass offering little color or distortion and maximum strength for security impact resistance. Decorative aluminum columns and ornamental panels and roofs are cast to seamlessly fit in with the restored original cast iron profiles. 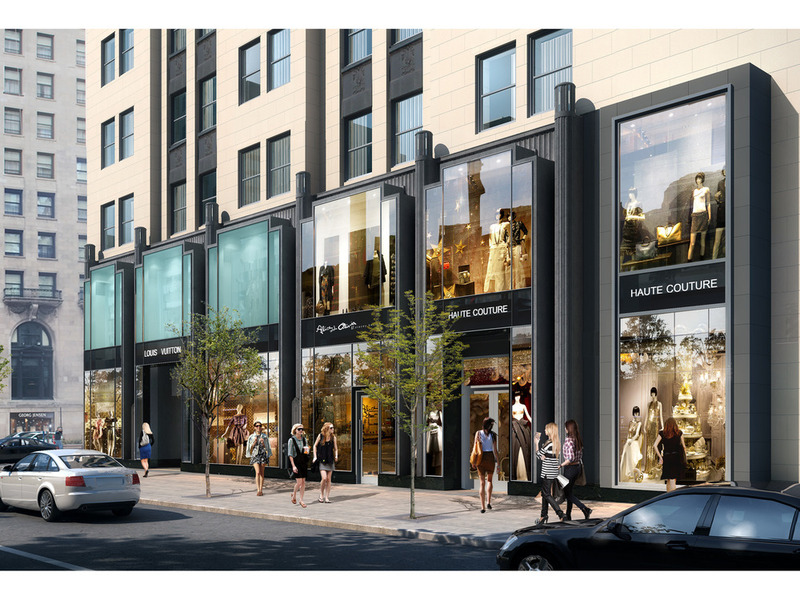 Five new bays on Michigan Avenue and eleven on Walton Place transform this active and highly visible intersection to accommodate 21st-century retail, residential, and office entrance functions. 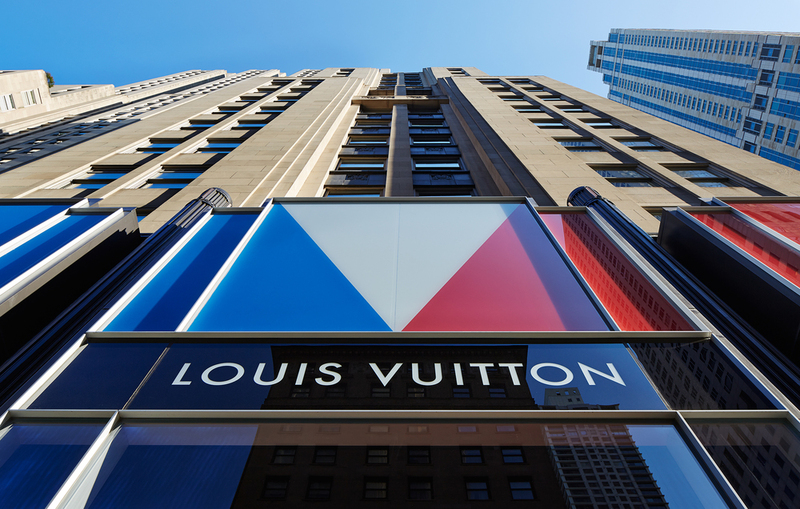 The renovation process for the retail windows was highly sensitive and required multiple approvals by city and state agencies including the City of Chicago, The Chicago Landmarks Commission, Landmarks Illinois, and the Magnificent Mile Association.